BNP on Tuesday rescheduled its Thursday's public rally at Suhrawardy Udyan for Saturday. "We announced yesterday (Monday) our public rally was for Thursday. 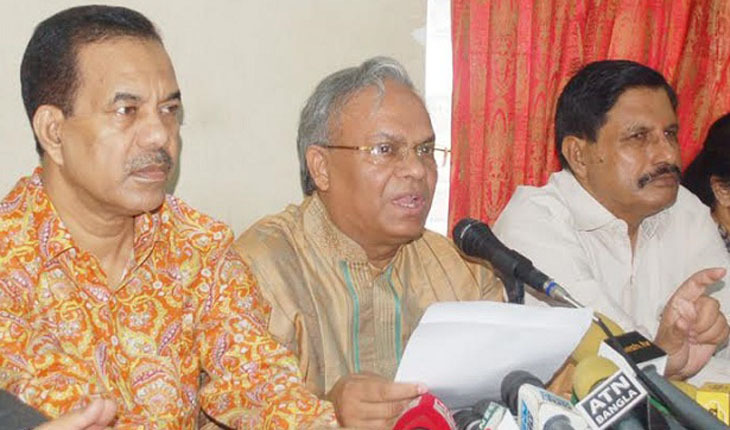 It's now been rescheduled for Saturday," said BNP senior joint secretary general Ruhul Kabir Rizvi. Speaking at a press conference at BNP's Nayapaltan central office, the BNP leader also said the rally will be held at Suhrawardy Udyan. "Leaders and activists of our party and its different units have started working in full swing to make the rally a success. Hope, we'll be able to hold a successful programme on Saturday," Rizvi said. Asked whether they have got permission to hold the rally at Suhrawardy Udyan, he replied in the negative. "But, we hope we'll get the permission." On Monday last, Rizvi at a press conference announced that they sought permission from the authorities concerned to hold a public rally either at Suhrawardy Udyan or in front of their party's Nayapaltan central office on Thursday.